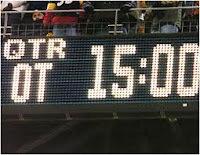 Advanced Football Analytics (formerly Advanced NFL Stats): Did Marvin Lewis Make the Right Call on 4th Down in OT? 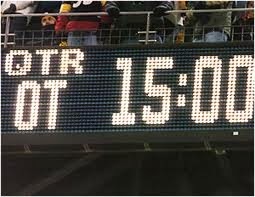 Did Marvin Lewis Make the Right Call on 4th Down in OT? After a freak Hail Mary TD to tie the game, Cincinnati won the coin flip to start OT and drove to the BAL 33. Facing a 4th and 2, Lewis decided to for the conversion rather than attempt a 51-yard FG or punt. Under the old sudden death OT rules, every coach would have undoubtedly attempted the FG in that situation. But under the new OT format, things have changed. Because the opponent gets an opportunity to match a first-possession FG, or to trump it with a TD, long FG attempts are not the percentage play. If you make it, you've given your opponent all four downs to cruise down the field to respond. Plus, there is no urgency like in other four-down desperation drives because the clock is not a factor. And if you miss the FG, you've given the ball to your opponent in decent field position while triggering sudden death rules. Now, an opponent FG would end the game. Oddly, punting at longer to-go distances all the way up to the opponent's 28 yard line is the percentage play. And going for it on short to-go distances, like Lewis chose to do, is just as smart as it usually is in regulation. Going for it up to 4th and 5 or 6 yards to go from the 33 would have been the percentage play. 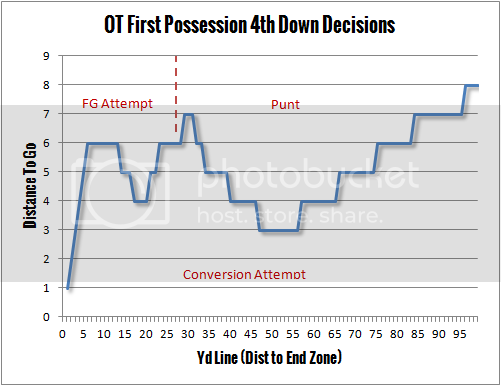 Here is the full analysis, which yields this chart of 4th down decisions in the first possession of OT. Seemed from the games I was watching during the early slot today (Cin-Bal and Det-Chi) that coaches are reading this site's posts more or at least making the percentage decisions to go for the conversion on 4th down much more than in the past. Did I just see two outliers or have coaches got the message that they can gain value by punting less often? Have you seen 4th down conversion rate drop as more teams are going for it? The real question is whether or not it makes sense to receive when you win the coin flip. Brian: I know you did some work on this last year but I'm not sure you considered the fact that the kicking team gets their choice of direction which could be meaningful in clod weather cities.